Our 7 day weather forecast for Ulverston updated throughout the day, making it ideal for planning leisure activities, travel and events. Read more about our weather forecasts. On Sunday 21st April 2019 the sun will rise at 05:57 and will set at 20:26. It will be a mild day, with temperatures reaching around 19°C. Today is expected to be a dry day, with a very low chance of rain. There will be a gentle breeze in the air today, with a maximum expected wind speed of 12mph. On Monday 22nd April 2019 the sun will rise at 05:54 and will set at 20:28. It will be a mild day, with temperatures reaching around 20.2°C. Today is expected to be a dry day, with a very low chance of rain. It will be quite a breezy day, with a maximum expected wind speed of 19mph. On Tuesday 23rd April 2019 the sun will rise at 05:52 and will set at 20:29. It will be a mild day, with temperatures reaching around 18.9°C. Today is expected to be a dry day, with a very low chance of rain. It will be quite a breezy day, with a maximum expected wind speed of 19mph. On Wednesday 24th April 2019 the sun will rise at 05:50 and will set at 20:31. It will be a mild day, with temperatures reaching around 12.9°C. Some moderate to heavy rain is expected, 7mm of rainfall is possible today. It could be quite a gusty day today, with a maximum expected wind speed of 21mph. On Thursday 25th April 2019 the sun will rise at 05:48 and will set at 20:33. It will be a mild day, with temperatures reaching around 12.6°C. A light shower is possible, 1mm of rainfall is possible today. It could be quite a gusty day today, with a maximum expected wind speed of 29mph. On Friday 26th April 2019 the sun will rise at 05:45 and will set at 20:35. It will be a mild day, with temperatures reaching around 10.2°C. Some moderate to heavy rain is expected, 7mm of rainfall is possible today. It could be quite a gusty day today, with a maximum expected wind speed of 31mph. On Saturday 27th April 2019 the sun will rise at 05:43 and will set at 20:37. It will be a mild day, with temperatures reaching around 4.9°C. A few showers are expected, 3mm of rainfall is possible today. It will be quite a breezy day, with a maximum expected wind speed of 27mph. Our weather forecast for Ulverston is updated throughout the day and has been found to be very reliable for planning activities such as days out, leisure, travel, events, fishing, golf and gardening. 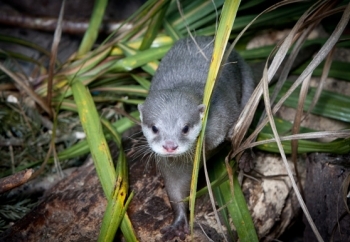 Discover Lakes Aquarium, Lakeside, situated on the southern shores of lake Windermere in the tranquil Lake District. Get up close to creatures from local environments including otters, ferocious pike, perch and arctic char plus those from Morecambe Bay including a wide array of rockpool creatures, flat fish, native sharks, lobsters and more! Visit the amazing tunnel, with giant carp and incredible diving ducks. Enjoy a Starbucks coffee at ‘1872’ or a hot or cold meal and refreshment in the quayside Oscar’s Cafe. Make a day of it and enjoy neighbouring attractions with a Windermere Lake Cruise or Lakeside and Haverthwaite steam train journey.